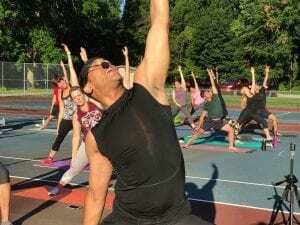 Home » Articles » Things To Do » Howard Health Quarters’ Free Community YOGA Celebrates 2 Year Anniversary! 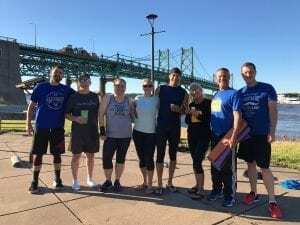 Howard Health Quarters’ Free Community YOGA Celebrates 2 Year Anniversary! 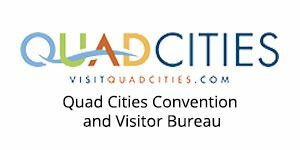 Hey Quad Cities, you’re invited to the biggest anniversary party of the summer! 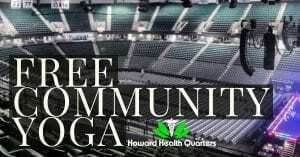 Join Howard Health Quarters in celebration of Free Community YOGA’s 2 Year Anniversary on Saturday Jul 20 from 10 a.m. – 12 p.m. at the TaxSlayer Center (1201 River Drive Moline) inside the concert venue! 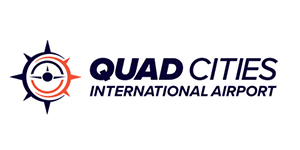 It is recommended to arrive between 9 – 9:45 a.m.
On average 200+ people from the Quad Cities and surrounding communities participate in Howard Health Quarters’ events. These events serve as a fantastic advertising platform for organizations and businesses to recruit, market, and sell products. Vendors are able to achieve brand awareness, meet face to face with prospective customers, as well as network with other vendors and sponsors. 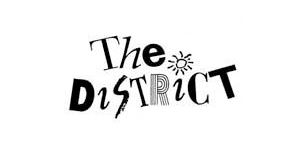 The goal for the July 20th event is to attract 500+ participants which will make it one of Howard Health Quarters’ biggest events! Free Community YOGA provides a healing, up-lifting, motivational, and life-improving experience designed for all fitness levels from beginner to advanced. All participants can be entered into drawings to win valuable prizes and gifts from sponsors and vendors. Participants also receive free massages, free food samples, free coffee samples, free wine samples, free live music, DJ, entertainment, and more! 11 a.m. – 12 p.m. Visit with vendors, receive FREE massages from the Institute of Therapeutic Massage and Wellness, free food, snacks, free coffee samples and free wine samples for participants 21 and over! Again, this is a FREE event for families and children 7 and over. Bring a yoga mat or towel, water bottle and money if you wish to purchase items from vendors or donate. 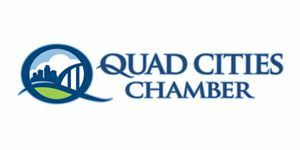 Howard Health Quarters also invites local businesses and organizations in the Quad Cities to join their Community Team of Sponsors and Vendors! 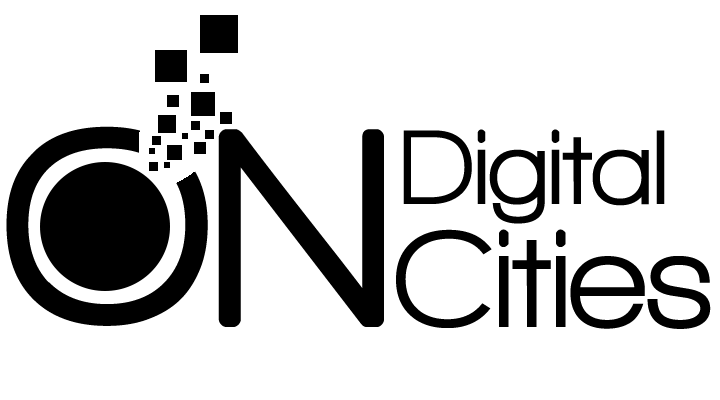 Check out these testimonials from a couple of the current sponsors! For updates on Free Community YOGA’s 2 Year Anniversary bash, please visit https://www.facebook.com/events/2059221157526807/.